Before Dynamics AX 2012 and the new editor which makes things a bit more Visual Studio like, we had some features in the AOT, that are gone now but I miss. 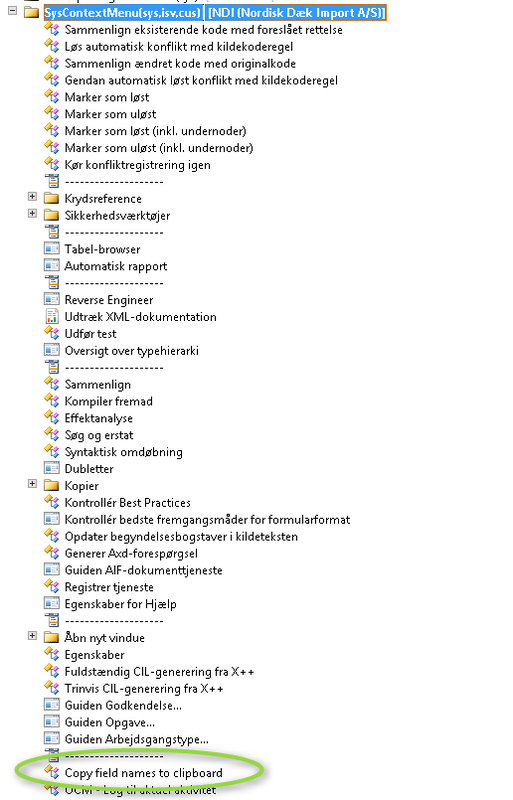 I *might* have rambled and raved about this before (http://gotdax.blogspot.dk/2012/03/dynamics-ax-2012-annoyances-for-old.html) ;-). E.g. I miss the ability to mark all fields on a table in the AOT and simply copy them to code. In the olds days this could be done by simply marking the fields in AOT and dragging them to the editor window. Then I can go to a table in the AOT and right click and choose add-ins / Copy field names to clipboard. I think its useful for making documentation. 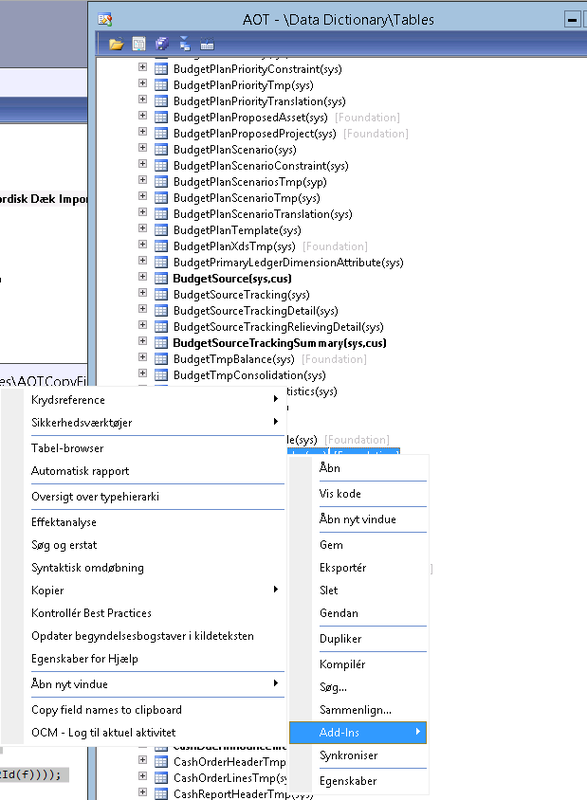 In AX2012, this could be done by simply marking the fields in AOT, right-clicking on them and selecting Add-Ins > Copy > Name. 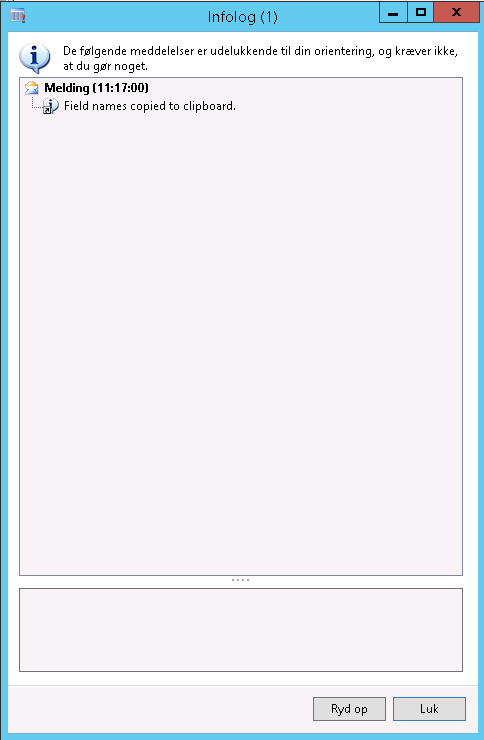 Then paste from the clipboard to the code editor. You could also paste this to Excel, then split to columns (using "." 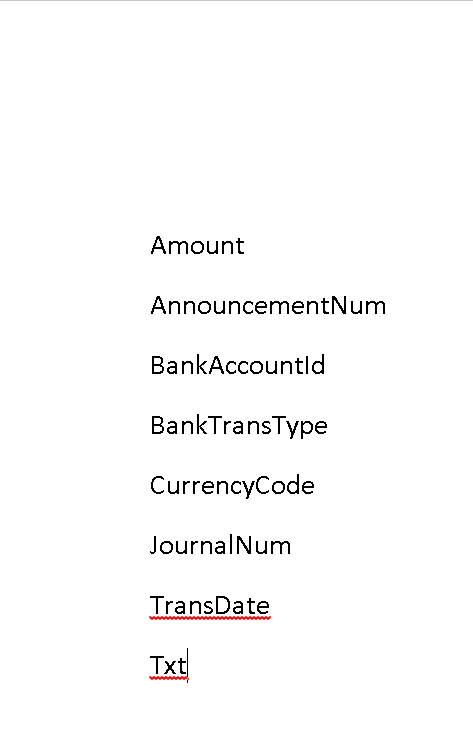 and "=" symbols as delimiters) and get the list of fields in the second column. Thanks for sharing information, it is very helpful. Interesting article, it was nice to visit your site. The way of presentation is well. Thanks for sharing! !